Parents don't often think of their children as their neighbours, but they are. In Scripture and the Small Catechisma neighbour is anyone who isn't you. So “serving your neighbour” is at the heart of a parent’s vocation, including teaching the faith. Each section of Luther's Small Catechismstarts with the opening phrase "As the head of the family should teach ..." In addition to providing the necessities of life, parents, especially fathers, are intended to teach and equip their children to help them make choices about what's good and bad. A parent’s drive for what’s best for their children is always before them, informing much of their decision making. They take great care deciding which school to send their children to and what extracurricular activities to enrol them in. Some parents are rather hands-off when it comes to things like art, books, music, theatre, TV, and movies while others are very hands-on. If it’s important to make good choices about what a child eats, it stands to reason that making good choices about what children read and watch is important too. Just as parents can teach a child how to read and understand a label on a food product, they can teach a child to read and understand what they see in a media product. Parents should strive to raise children capable of discerning whether something is "helpful" and whether it "builds up." Movies are a unique form of media because they bring together a variety of elements: narrative drama found in a good novel; music ranging from radio pop songs to symphonic masterpieces; and visual imagery that runs the gamut from the graphic punch of comic books to the sublime heights of fine art. When assembled, these elements can be overwhelming even before a viewer gets down to questions associated with the various worldviews, and/or philosophical and religious ideas present in every movie. For this reason it’s possible that, in the midst of an overwhelming film-viewing experience, such ideas can broad-side a person (regardless of age). This is particularly the case if the viewer is not clear on what they think and/or believe about a given topic. This is where the vocation of parent comes back on the scene. Parents can teach their children the faith, just like they teach them their ABC's, to tie their shoes or to ride a bike. Teaching the faith, in fact, is the most important responsibility for parents and is where the Small Catechismis a useful tool. Families need not hold off on the catechism until children are 13 years old and then let the pastor teach it to them for two years in Confirmation class. The catechism can be used at a very young age to help children begin learning and understanding their baptismal faith. The stronger a child's confession of faith, the better formed is their identity as a Christian and ultimately, they will have an easier time deciphering what they are looking at when watching movies or whatever media they come in contact with as they mature. You shall not murder. What does this mean?We should fear and love God so that we do not hurt or harm our neighbour in his body, but help and support him in every physical need. Having a discussion with them about what they saw and what they think about it will be easier if they already know the commandment. 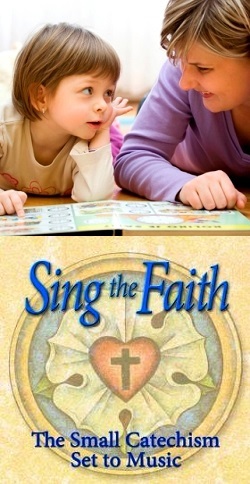 It then becomes the normative standard that helps parents teach the faith. Take these moments as opportunities, and don’t let them slip by without comment. Children look to their parents for leadership and guidance so having a firm grasp on the catechism will help. Be encouraged! There are some other great strategies parents can use in fostering a family’s good media consumption habits. First, they can take time to preview films before their children watch them. Watch it first then think about what's in the movie. What are the major themes? The plot of Disney’s Bambi (1942) hinges on the death of Bambi's mother. After watching the film—if parents feel it's age-appropriate—be prepared to talk to children about death, the possibility of their own death, and a death that would leave them without a mother or a father. 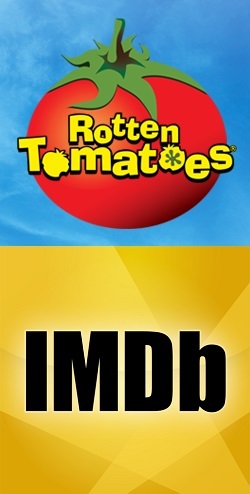 If the movie in question is just coming out in theatres, there are websites likewww.imdb.comandwww.rottentomatoes.com thatcan provide some reviews and information about the film’s content. Understanding that it may be difficult to find the time and/or the money to preview first-run films these websites may be very helpful. In addition, Lutheran families can take advantage of movie reviews found on this website (and/or the LCMS Reporter and The Canadian Lutheran online) and the follow-up radio interviews connected to the reviews on www.IssuesEtc.org. There isn't time to review every new film but there are a number of film reviews now available atwww.mountolive.ca ranging from children's movies like How To Train Your Dragon 2 to the zombie movie Word War Zto the horror film The Conjuring to dramas like The Great Gatsby and 12 Years a Slave, even fantasy movies like Maleficentand The Hobbit: The Desolation of Smaug. The purpose of the these reviews is not just to review the film but also to help families and individuals begin to look differently at the medium of film; to consider that movies of every genre contain more than their more obvious surface elements. While Christians are free to watch a wide variety of films they can also be careful as they watch. We should consider if the film is helpful for teaching some aspect of the faith, whether a movie may help build up a person's faith or if it's challenging or even hostile towards their faith. Using Scripture and the Small Catechismeveryone can get more out of their media consumption. Having a firm confession of faith will help Christian viewers go beyond personal concerns and enable them to seek out the good of their neighbour, whether that neighbour is their child or a fellow adult. The Rev. Ted Giese is associate pastor of Mount Olive Lutheran Church, Regina, Saskatchewan, Canada; a contributor to The Canadian Lutheran and Reporter; and movie reviewer for the “Issues, Etc.” radio program.